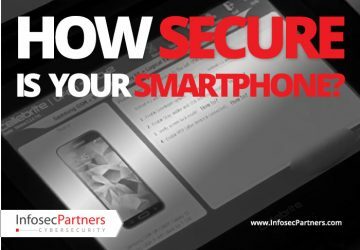 How secure is your smartphone? When the American Department of Justice in March of this year, announced that it no longer needed Apple to help them access data on an iPhone 5C belonging to someone responsible for a terrorist attack, there was much speculation surrounding who it was that provided the tools they needed to extract the data on the phone. 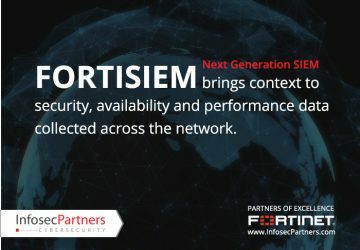 FortiSIEM provides organizations with a comprehensive, holistic and scalable solution, from IoT to the Cloud, with patented analytics that are actionable to tightly manage network security, performance and compliance standards, all delivered through a single pane of glass view of the organization. Contact Infosec Partners, Fortinet’s first ever UK Partner of Excellence to find out more. The CFO could now be called the CPO – Chief Protection Officer. Cybersecurity potentially puts a company’s finances and value at risk, challenges compliance and regulatory strategies, and increases the need for mature policies and practices that safeguard a company’s data and overall security. A CFO as a strategic business and risk management executive should have significant oversight and guidance in these areas. They are no longer “IT only” considerations. 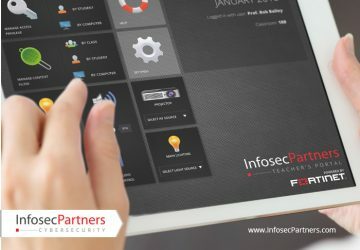 Infosec Partners’ Teacher’s Portal utilises the leading technology of Crestron and Fortinet to empower teachers to take back control of their classroom. With a secure, easy-to-use application interface, the Teacher’s Portal enables teachers to directly take control of the internet usage and content access of their class. Allowing them to directly allow and revoke the internet access of students and groups in their classroom, the Teacher’s Portal also allows them to manage access to specific sites or those with certain types of content for the duration of the class. 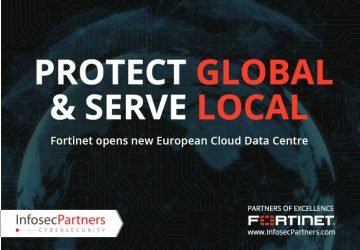 Fortinet establishes new European Cloud Data Centre. 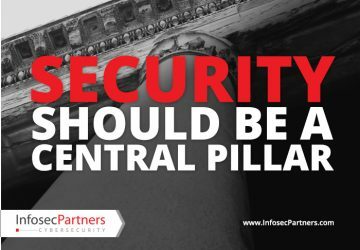 Contact Infosec Partners today to find out how this eases concerns regarding privacy, reduces compliance burdens and enables you to adopt cloud-based security solutions to realise the benefits of the Fortinet Security Fabric. Smart Bulbs. 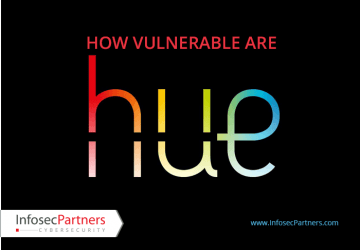 How Vulnerable Are Hue? The popularity of smart bulbs such as Phillips’ Hue have grown exponentially in recent years. However, public awareness is growing of the danger that networked lighting can be an entry point to the entire smart home or building automation system. The convenience of a connected world enables homeowners to monitor their home from hundreds of miles away but also provides an attack surface to hackers and thieves. The healthcare industry is under attack for a reason. 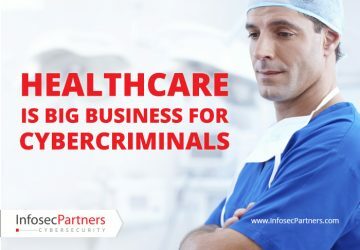 Cybercriminals view it as a place that’s ripe for “big wins,” and the number of large healthcare institutions recently falling victim to data breaches shows they’re having success. According to Lloyd’s recently published report on Cyber Risk, 92% of European companies surveyed (with revenues of €250m or more) have all suffered data breaches. 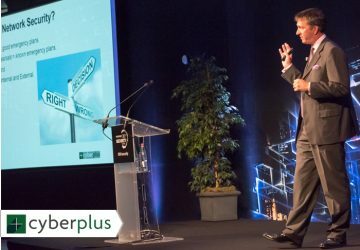 Results from Lloyd’s’ survey should serve as a warning against complacency and reiterates the need for preparedness for a cyber risk incident, dealing with the potential impact. Thank you for Signing Up - Please check your email to confirm.